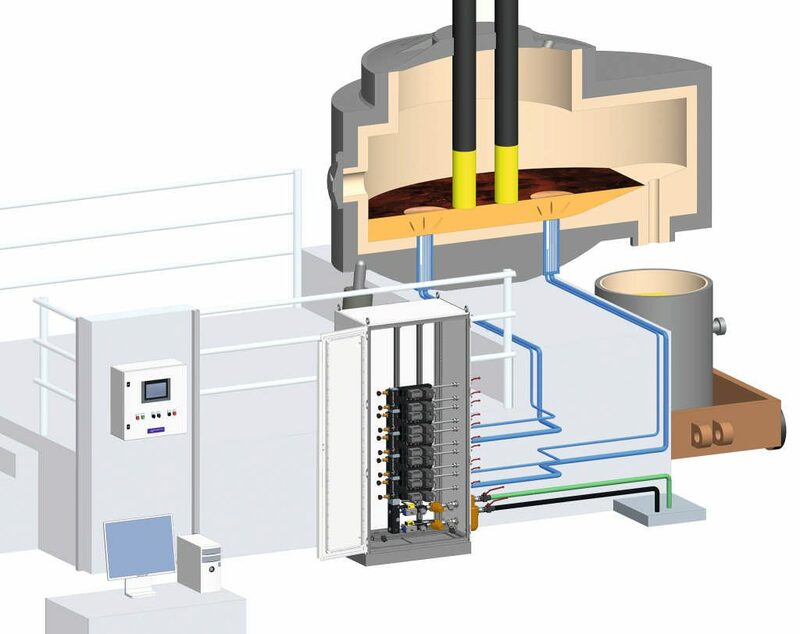 A higher level of product sophistication (e.g., clean steel, ultra-low carbon steel grades, clean cooper) require an optimized process operation with bottom purging systems in converters, furnaces and ladles (e.g., EAF, BOF, LF, VD). 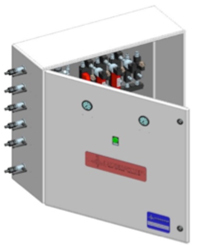 We provide gas control boxes for inertgas purging systems to improve metallurgical results. Improved distribution of the temperature as well as alloying elements in the molten metal is the result of the sophisticated gas control boxe concept. Here, number, type and arrangement of plugs, flow rate patterns and the kind and quality of purging gases and their regulation have a remarkable influence on the metallurgy and customer process. Steel Flow regulation between ladle to tundish and tundish to mould can either be done by slide gate or by stopper control. For both, use of argon can be required depending on the steel grade and the flow control facility. 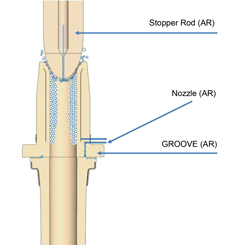 Very little argon flow rate into the stopper and/or nozzle helps to reduce clogging. Additional inert gas shielding around refractory joints exclude any air ingress into the casting channel. It is obvious, that in this sensitive area close to the end of the phase where steel is still liquid, a very accurate system for the argon control is needed. At this application, very little changes in argon flow will have big consequences: a too small flow will support nozzle clogging, a too high flow will negatively influence the conditions in the mould by introducing too much bubbles. Here, very sensitive flow controlled and/or back pressure controlled systems are offered by us.